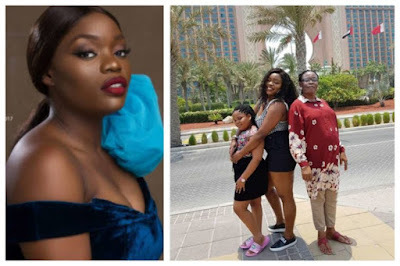 Big Brother Naija 2017 star, Bisola Aiyeola who is known for her good acting skills is on vacation with her daughter and mother at Atlantis The Palm, Dubai, United Arab Emirates. The actress took to her Instagram page to share this lovely three generation picture of herself, her mother and her pretty daughter as they are currently enjoying their vacation. 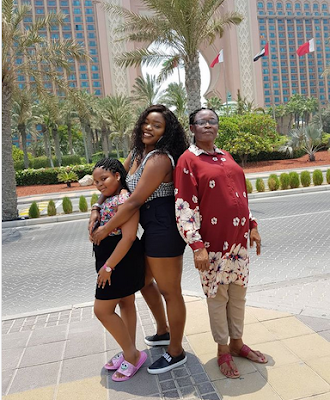 The single mum of one who is doing well for herself and making waves than Efe, the winner of the reality show’s 2017 edition, went in company of her mom and 10 year old daughter.